The Giveaway of Awesome has been won. Sacha Pech, who wins the Taylor's Wines 4 pack for resorting to ladylike consumption on the loo in order to escape the offspring. I can sooo relate! Lyndel Rowe, who wins the Yellowglen Spritz 2 pack, because everyone deserves some bubbles to help them through the tough times. Roberto Colombi, who wins the Toby's Estate coffee and tea pack for making me sigh at the simplicity of enjoying them on the balcony over breakfast. If I had a balcony. Or breakfast. Or peace and quiet. #Winning winners, check your email. You have exactly seven days to respond, before I feel shunned and rejected and carry out a re-draw. Special Mention to Jolene Humphry. Have just bought myself a label maker, and your comment has provided me with my first batch of labels to make up in bulk and stick on every conceivable surface : STFU! I'M BUSY! I will be bringing some Yellowglen Spritz to DPCon12 just for you and I to share over ice. Or with extra long straws, straight from the bottle. 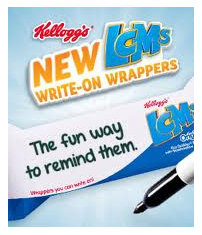 Thanks to one of my DPCon12 Sponsors of Awesome, Kellogg’s, I received some of the new Kellogg’s LCMs Write on Wrappers. Mstr3 has found his boy bits. Essential message. I’ve bought a packet to save up for when I next feel the need to get all passive-aggressive at #1 Hubby and I think the cause justifies a week of snarky comments. I’m going to write one a day and include it in his lunch. The ultimate argument winner – he has no means of reply. Genius, no? 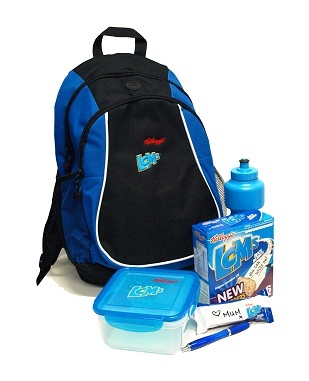 So school starts again this week, and thanks to Kellogg’s and Liquid Ideas, I have an awesome Back to School Prize Pack up for grabs. Excellent for parents like me who have left it until the very last second to get everything organised for school. Mine is to ignore the expensive school supplies provider and go get it yourself from Officeworks, Big W or Kmart. So much cheaper. Seriously, I could’ve saved myself a month’s cask wine allowance if I’d just done this. Good luck! Now I’m off to Contact the crap out of every over-priced school supply I paid too much for. Because I love Contacting stuff, and because I’m not prepared to sacrifice my wine fund further, by having to buy replacements 2 weeks into term when they're lost and/or ruined. Be excited with and for them so they know school is a great place to go every day. Pack a variety of snacks you less likely to have a full lunch box return. I buy few extra stationary items whilst they are on special at Big W during the Back to School specials in case kids need them during the year when they are double the price. 1. Teach your child on how to label all their belongings and not forgetting the school hat! 4. Hopefully they have listen and understand all of the above! 1. Pack a healthy lunch the night before, make sure you child plays a part in putting it all together. 2. Get into a routine where your child gets his/her uniform and shoes ready to start the next day. 3. Always remind your child to be nice to everyone and behave at school. Pack a spare hat in the schoolbag. It WILL come in handy! I am follower of the blog. The week before school starts, make a morning routine. What time do kids need to be dressed by, fed by etc etc . Young children need practice to get the hang of this. We have made a chart with pictures explaining each step which is a great help. My back to school tip is to clean up and recycle everything from the year before! Resharpen pencils, and only top up sets that are missing something, keeping the rest of the new items in a box to top up sets from next year. You end up spending 1/5 of what you would if you buy everything on the list new each year. We make sure all homework is done before dinner. 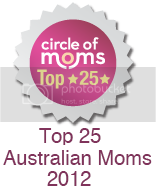 This enables my kids to be less stressed before they go to bed ensuring a good night sleep. I get my girls to help sort their bags out and make their lunches to distract from any back to school nerves making them feel important! My top tip is to have lunches all prepared and sitting in the fridge or on the bench ready to go the night before. The extra 10 minutes or so it allows you in the morning can be crucial to getting the kids ready on time! these great snacks are great for my kids lunches - they just love them to death. Always ask your child for good things that happened in the day- don't always look for the negatives! (Of course, discuss issues that arise too). Teach them how to have positive thoughts. Ok so I have the first off to school on Friday. As its my first off to school, I am not experienced here, but have thought making myself available for reading in the class room, so my son feels like I am involved with the school.. And that I am not too far away. 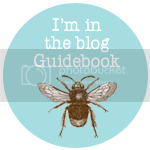 blog facebook and twitter-tip-label everything!!! My tip is to see if your school has a clothing pool. They generally sell nearly new school clothes. Children grow so fast. The school takes a small percentage, the buyer gets a bargain & the seller makes a little cash with no effort involved. My tip buy in bulk where you can, and dont discount shopping at op shops you can get heaps there. Definately make lunches and get everything ready the night before so not to be running around like a mad woman in the morning. Don't really have any back to school tips as my daughter only started school last week. I think getting her to do as much as possible from the first day for her herself eg. packing and unpacking her bag, putting her own shoes on etc. With a new school, I did several walks to school before the first day, just getting him used to getting up, getting dressed, and the walk to the gates. At least that part will be familiar on the first day. If your child is old enough, have them help get their gear ready for the next day, the night before. My 10 year old makes her own lunch (that way I know she is going to eat it), she gets her uniform out and gets her bag ready and waiting near the door. Dymo labellers are the best for labeling the kids school things! Plan your shopping and food preparation ahead of time to ensure kids have a nutritionally balanced lunchbox that is not too carb heavy. Tasty cold meatballs or cold barbecued chicken pieces combined with vegetable sticks like carrots, cucumber, capsicum and celery , with a few cubes of cheese or a tub of yogurt and a piece of fruit provides for a great recess and lunch that is high in protein, vitamins and minerals. Then squeeze the in the odd LCM bar in there for that occasional treat and they will have all the energy and brain power they need to work, rest and play. Facebook follower! Get up, get showered, dressed and ready before the kids. There's nothing worse than leaving it to the last minute, not having time, and having to go to school without a touch of makeup and resorting to wearing sunglasses in the class-room for kindy drop off (to hide the previous night's session). Make sure you have your morning Cafe-Mocha-Vodka-Valium at the ready to get you through the getting ready for school chaos!! Always be interested and tuned in to what's happening at school. I always ask my children "What was the three best things and worse things that happened at school today on the way home?" Usually they are very positive things but sometimes you get informed about bullying or issues that perhaps need dealing with either by you personally or just some skills to help them deal with it themselves, that they may not have bought up on their own. talk about school in a positive tone. That way they will be more inclined to love it, especially if they are involved in the entire process. Visiting, selection, enrolment, uniform, books and stationary, lunches etc. I like to get everything ready the night before. Bags packed and lunches pre made. Makes the morning much more stress free. Have books covered and decorated long before school starts if you can. Things get a bit hectic once they go back and you'll have less time. Always over pack their lunch boxes. It is amazing how hungry they get after a day of school, and how they can't wait until they get home to eat something. Know what will be on at the movies in Gold Class. You can do drop off and make the 10:30am session no problem. And it's okay to have a glass of wine with the movie, because it's in the dark and therefore not too early. Hurray, school's back! Have the basics ready--exercise books and a full pencilcase so they look like they're willing to learn. First impressions! Get into the habit about a week before school resumes of waking early and starting the day with a nutritious breakfast. Re-use and recycle. Sort through last years supplies and see what needs a scrub, sharpen or recovering. You will be amazed at your savings! 1. Make sure you have date for first day of school right. get the kids to get their school bags ready the night before - this way no rushing in the morning incase of unforseen circumstances or Mum sleeping in!! Empty school bag everyday (particuarly with boys) otherwise you will always be the last to know about excursions or events and there is always the chance of lost and forgotton food finding its way to the bottom of the bag! Check to see if last years goods can be re-used, so much can be saved by just a little looking around and sprucing up! Don't be ashamed to cry... On their first day of school, when they get awards, and on Sunday night when you've had them all weekend and just can't wait until Monday. Prepare the bags and lunch boxes the night before, partly freeze the drink bottles and top up with water in the morning for a nice refreshing drink throughout the day! Always check the school bag regularly for important notices from the school and / or green hairy food objects! Get your child to help you unpack their bag when they get home from school. You will find notes, uneaten food, etc, but it also gives time to debrief about what's happening in your little one's life at school. Encourage your child to drink at least one full drink bottle of water! Small sips throughout the day has been proven to keep children alert more through the day! Involve the kids with what you're putting in their lunchboxes. Less stuff comes home uneaten and they won't be teased for having the stinky hard boiled egg!